In 2013, I began giving a seed grant every single day of the year to a social change visionary with a practical plan to make their community and the world a better place. Now others have joined me, each of them giving $1 or more a day to inspiring projects led by extraordinary individuals all over the world. The Pollination Project facilitates this practice of daily giving and continues to make daily grants of up to $1000 every day of 2014 and beyond. Please join us as a daily giver, or simply create your own giving practice. It will change your life! FUR-EVER GIVING BACK IN NORTH CAROLINA Englishe Miller is confronting North Carolina's overwhelming stray animal population. A longtime animal lover, Englishe started M&M's Fur-Ever Furbabies, a rescue operation in Cameron, N.C. that saves abandoned, abused and disabled dogs, and helps raise awareness within the community on spaying and neutering, shelter alternatives and a host of other issues. "I want to raise awareness here in the South that breeding animals for personal or financial gain leads to problems like the one we currently face," Englishe said. "I want those who may be in a financial bind and can't feed their animal to have a place they can go to receive food for their pet instead of taking them to an over-full kill shelter because they felt like they had no choice. I want everyone to understand we are the voice for these innocent precious animals." 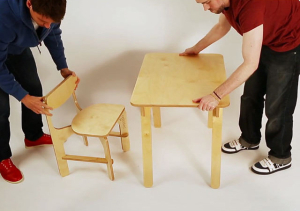 ENHANCING LEARNING IN UGANDA: Doug VanderValk and Ian Kuklenski are enhancing kids' learning in rural areas around the world with their project, Unlocked Furniture. Their next effort is in partnership with 5 orphanages in Uganda. "Try sitting on a cement floor. You'll feel uncomfortable," Doug said. "After a while, you'll start to feel pain in your back and hips. Now imagine sitting there six hours, five days a week. On top of that, try to focus your attention, read, write and maybe even learn a language. Today, this is a challenge children in many parts of the world face." Doug explains, "We believe providing an environment in which to learn comfortably can drastically aid the the growth and education of young people." The furniture is designed to be easily produced by local craftsmen to make the school furniture in their own communities. ACRES OF LOVE IN KENYA: As a mother of three children, Grace Ombima is passionate about helping the mothers and children in her community in Kakamega, Kenya. "I have passion for women because they are the mothers of the families," Grace said. "In this community we have wide spread of HIV/AIDS. Women are the most affected." Her project targets young unemployed women who will be trained in cultivating highly nutritious sweet potatoes. Each participant will work on two acres, hopefully planting and harvesting two tonnes, or more than 4,400 pounds, each week. The potatoes don't need fertilizer and the vines can be used for animal fodder, making it a sustainable solution to food scarcity in the area. 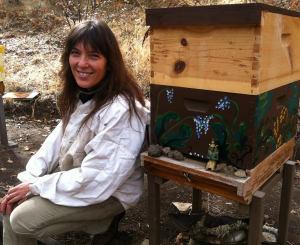 SACRED BEEKEEPING IN OREGON: Laura Ferguson speaks internationally on the importance of natural and organic beekeeping with a focus on the inherent Sacred when working with the honeybee. As Director and co-founder of the the College of the Melissae's Center for Sacred Beekeeping and The International Beekeeping Federation, Laura works to bridge and transform modern apicultural practices into a sustainable, sensitive and bee-centered conversation between our two species. Alongside other beekeepers, Laura hopes to begin signing up members for the Federation and host a conference to share the most current information about natural beekeeping. HUMANE EDUCATION IN NORTH AMERICA: The 'We Animals' Humane Education Program, was founded by photojournalist Jo-Anne McArthur. It is a humane education presentation series delivered in classrooms, library, or conference settings for small or large groups of adults or youth. The program fosters awe, curiosity, and critical thinking about our relationships with animals. Incorporating Jo-Anne's beautiful photos, this project uniquely compels people to empathize with animals, their stories, and their struggles, and inspires them to be agents of positive change in their community by living the ethics of reverence, respect and responsibility for animals. Jo-Anne's goal is to deliver hundreds of these presentations all over North America. 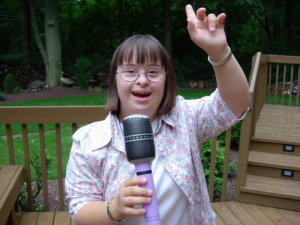 DRAMA & DOWN SYNDROME IN NEW JERSEY: While working with a group of students with Down Syndrome, Debbie Goncalves hatched the idea for TA-DA! Productions. Debbie had created a skit for her students to perform at the school talent show. "I will never forget the standing ovation they received after their act was over," she said. "Now, these students have graduated and finding appropriate recreational activities that they can participate in is so difficult." Debbie continues, "Opening a drama club would not only provide these students with an outlet to challenge themselves but it provides them a social activity as well." TA-DA! Productions (an acronym of Theatre Adapted for Different Abilities), serves older students and adults with special needs, providing them with opportunities to socialize and express themselves through the performing arts. Debbie plans to hold two semesters of classes, each culminating in a performance for family and friends. UPCYCLING DREAMS IN WEST AFRICA: Debra Blackwell and her group, the Black Diamond Boys, have turned what many consider to be garbage- used tires- into everything from colorful planters to teeter totters in Guinea, West Africa. But the program isn't just about upcycling, it's about revitalizing the dreams of boys' who participate in the program. "Some of the guiding principles for Black Diamond have to do with personal development and spiritual awareness," Debra said. "These young men are learning that all things are a gift from God, even garbage and dirt out of the cement ditches. Our workshop is a place to dream, where failure does not exist."